Customers value excellent customer service when interacting with brands. It is known. In fact, according to a Walker study, 86% of customers will be willing to pay more for great customer experience by the year 2020. To the surprise of no one, technology always finds a way to keep up. Enter the CRM system, a tool that companies use to effectively and efficiently manage customer (both potential and existing) information. Thanks to dedicated CRM systems, companies can now track and manage customer information, correspondences, conversations, and billing information, among many others. As a result, call centers can deliver excellent customer experience with more regularity and efficiency. Care to know how? Here are the top five benefits of CRM systems to the customer experience. So a customer calls in, and the next thing you know that customer’s information pops up on the screen. Now that’s the convenience. Thanks to the case management functionality that comes with most CRM systems, agents can quickly provide relevant answers to customer queries and offer quick resolutions. The point of delivering great customer service is that it builds relationships with clients. Clients want that too. And for a relationship to prosper, there needs to be a strong sense of continuity in every customer interaction. It’s roughly equivalent to calling your friend and asking her if she loved the gift you gave her for Christmas and giving her the lowdown on the latest gossip concerning the next-door neighbor. Because of CRM systems, customers don’t have to repeat themselves over and over again every time they’re doing a follow-up call on a recurring issue. The best thing about it is that customers will always feel that agents understand their needs and are likely to respond in kind. IVRs are notorious for stretching the limit of customers’ patience. Thankfully, many CRM companies are now offering an integrated IVR and CRM solution, providing customers a seamless self-service experience. With a CRM system in place, an IVR can identify each caller and then proceed to provide custom menu options that are relevant to that particular customer. CRM systems provide companies with measurable data that can help them come up with a myriad of actionable insights. These insights offer opportunities that enable brands to serve customers better. By offering a comprehensive picture of key performance metrics as they apply to customers, CRM systems make it easier for call centers to deliver customer-centric service on a consistent basis. Having a good CRM system in place enables companies to have a more efficient internal communication. Seamless communication between different departments in regards to customer information allows for faster resolution and opens new windows of opportunities to serve customers better. There are no two ways about it: investing in CRM systems is one of the smartest business decisions you’ll ever make. Put your customers at the heart of your business, and your company is bound to reel in the profits. As is the case with any meaningful relationship, it’s an arrangement where both parties win. Do you want your business’s bottom line to get a big boost? Easy. Make a concerted effort to reduce customer churn. Customers are the lifeblood of your business. And if you want to keep your business alive, you have to take the necessary steps to foster loyalty in your customer base. In fact, according to Bain & Company, it is six to seven times more expensive to acquire a new customer than to retain an existing one. That’s not to say that you shouldn’t exert some effort into recruiting new customers. If you have sound customer retention strategies in place, every new customer you recruit can potentially offer a lifetime value that will significantly impact your ROI in the long run. Here are four steps you can make in order to reduce customer attrition. With the rise of multichannel services and social media platforms in the last several years, more and more customers are expecting businesses to be available round the clock. Simply put, availability issues can have a lasting impact on how customers perceive a business or service. If, for instance, a customer experiences connectivity issues on his broadband connection at 4 in the morning, being able to provide technical support right then and there not only makes a big impression, it sends the message that you care about your customers. If a customer makes a follow-up call over a similar issue only to end up being asked to repeat himself again, chances are he’s going to entertain the notion of switching to another service. Why? For starters, customers don’t want to feel like they’re being treated like cogs in a machine. They want continuity, and they’ll appreciate the service more if the context of every call reflects that continuity. By integrating CRM with phone systems, your call center can keep track of customer logs and conversation details. This approach keeps customers engaged, which will, in turn, instill loyalty in your brand. If you want to inspire loyalty among your customer base, you’d do well to take a proactive approach in customer support. What this means is that you have to identify and resolve customer issues even before they occur or become apparent. If you’re worried about being a “bother” to customers by being proactive, it’s high time that you put your worries to rest. To bring home the point, a study made by inContact discovered that 87% of customers are happy about being contacted proactively by companies concerning customer service issues. Customers don’t like being made to wait on the phone. Considering how current technology has diminished our attention spans in the last decade, this isn’t at all surprising. Tried-and-tested solutions that can reduce customer waiting time include addressing bottlenecks on a regular basis, creating self-service opportunities, and optimizing the contact center’s system and processes. Reducing customer churn goes beyond providing exceptional service and superior products, it also involves engaging your customers in a way that nurtures the business relationship. To do this, you have to make a constant effort to keep track of your customers’ needs and then taking the necessary steps to address them through your products and services. If you want your company to build and maintain a great relationship with customers, you need to have skilled call center agents on the front lines of your business. Call center agents represent your brand and embody your company’s values, and as such will need the extensive skill set to consistently deliver favorable outcomes in each customer interaction. As a business owner, you’d do well to invest in your call center agents, and to make your investment count, you need to put in place processes that take into account the following skills. The word ‘empathy’ has become such a buzzword in the business world for so many years and rightfully so. While the concept may sound touchy-feely to some, there’s no denying that empathy is essential to human interactions. Managers and team leaders need to constantly remind their agents to imagine themselves in the customer’s shoes in every customer interaction. After all, by ‘owning’ the customer’s problem, agents are putting themselves in the best position to satisfy customers. Empathetic statements let customers know that you care, and that makes a big difference. Being a call center agent is a rewarding job, but we have to admit that having to deal with rude or irate customers on a constant basis can make it a little less fun. That is why patience is a critical skill every call center should have. When callers are upset about your brand’s products and services, they are likely to treat your agents as a sounding board for the simple fact that they have nothing else to vent their frustrations on. But agents need to learn not to take it personally and instead be willing to listen and respond calmly in order to diffuse the situation. That way, the agent (and the company) is able to leave a good impression no matter the outcome. Call center agents need to communicate effectively in order not only to resolve issues quickly but also to ensure that customer interactions are as pleasant as possible. To deliver on this end, reps have to speak the English language fluently. After all, spotty grammar will always leave customers confused, not to mention that it may take longer to arrive at a resolution and sometimes not at all. Agents also need to learn how to straddle the line between being conversational and being formal, switching between the two as the situation dictates. In a customer interaction, what customers are saying is as important as what they aren’t saying. This is why customer service reps need to give their undivided attention to every call. Active listening goes beyond just paying attention to the customer’s words. It also involves ‘listening’ with all the senses, meaning they have to respond appropriately, withhold responses when necessary, remember what is being said, and more. Call center agents are regularly tasked to manage, record, and process various types of information. To be well-organized means many things: taking down notes when appropriate, saving information under the right category, putting things in their proper order, and more. Call center agents are entrusted with customer information every day and it is their responsibility (and yours) to handle it with care. 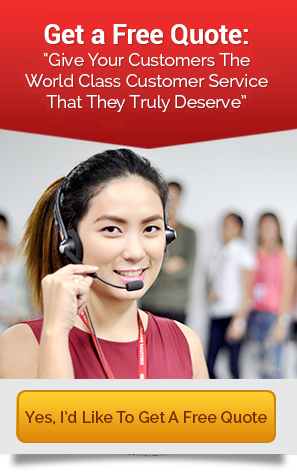 Being a call center agent can be a demanding job, but with the right support and training, they can master all the crucial skills mentioned above with ease. By training and cultivating these skills in your call center agents, you’re taking the first big step in increasing customer retention and fostering customer loyalty, which will in turn positively impact your business. Customer retention is crucial to the success and survival of any call center business, or any business for that matter. Does that surprise anybody? Surely not. Without customers, there can be no business. While customer attrition is sometimes inevitable, every business owner worth her salt needs to adopt a proactive approach in making customers stay. Bain & Company study shows that increasing customer retention rates by 5 percent raises profits by 5 to 25 percent. Convinced? Here are the best ways a call center can retain customers who are on the verge of severing their business relationship with your company. Before a call center can retain customers, agents need to be provided opportunities to work their magic. While it may cost your company a little to encourage customers to speak with a representative when requesting a cancellation, having the opportunity to convince them to stay can significantly shore up your customer retention efforts. Some customers choose to cancel their subscription due to money issues. In such cases, the best course of action is to offer a cheaper alternative. Since there will always be customers, who aren’t aware that there are cheaper plans than the one they’re subscribed to, making the right offer at the point of cancellation is the logical next step. Once a customer has decided to downgrade their subscription, kindly remind her that she can choose to upgrade anytime — preferably once her financial situation has improved. If customers are calling in to cancel their subscription because they find the product or service wanting, reps should go the extra mile in helping them resolve their issues with the company. In cases where they are requesting to cancel so they can switch to a competitor, make it a point to explain why your brand can offer so much more. Customers can be impulsive sometimes. When customers are having a bad day, even the smallest inconvenience where they feel that your company is to blame may cause them to make a rash decision. Most of the time, a gesture of goodwill — a voucher or a one-off credit — can help dampen their temper, causing them to reconsider if cancelling the service isn’t such a good idea after all. Of course, it goes without saying that whatever issue the customer may be having should be addressed as soon as possible. Your call center agents have to remind customers what they’re about to give up when they decide to stop doing business with you. If your company is offering loyalty incentives (and it should), the point of cancellation offers a great opportunity to remind customers about their eligibility to special offerings that may be coming their way if they choose to continue doing business with you. Setting up a team/s of retention specialists trained to engage customers who are on the verge of quitting is a great strategy to adopt in your customer retention efforts. Since these specialized reps’ primary focus is to retain customers, they are more likely to become more effective in convincing them to stay. For better results, a rigorous approach in selecting the best agents for the job has to be adopted (refined “soft skills” is an important qualification to have). Retaining customers poses a lot of challenges for any business. After all, it’s difficult to convince people who appear to have already made up their minds. But if you adopt the practices mentioned above with a conscious intent to keep customers happy, you are providing customers the best reason not to leave. Active listening is a critical skill every call center agent should master. By mastering this skill, an agent is more likely to deliver a positive experience in each customer interaction. It bears mentioning, however, that active listening goes beyond just hearing and understanding the words coming out of the caller’s mouth. It’s a dynamic process that requires the agent’s full engagement. Active listening can be a difficult skill to master, but far from impossible. Here are tips to help call center agents maintain active listening while on the job. A call center agent needs to give the customer his, or her undivided attention the moment they finish their standard welcome spiel. In short, they have to remain in the moment, not allowing distractions to draw their attention away from what the customer is saying. Granted, customers go on tangents at times, and might even head towards boring territory. That, however, is no excuse for agents to get sidetracked. The moment their thoughts start to wander, the agent has to force themselves to refocus. Knowing how to put yourself in the customer’s shoes comes with call center agent territory. Additionally, empathy is a skill that can help agents focus better on what customers are saying. This is why it’s essential that agents are trained and reminded to always understand where the caller is coming from, even when that caller is acting unreasonable. Listening is always easier when there’s a genuine desire to help. The same rule applies to conversations between the customer and call center agent. Call center agents often handle similar issues on a day to day basis, and doing so may make the job feel repetitive to them. Because of this, agents may fall into the trap of jumping to conclusions when a customer talks about an issue they’ve heard many times before. This is a critical error customer service representatives need to avoid at all costs. When listening and talking to customers, agents need to keep an open mind. This ensures that they’re not missing out on critical information and subtle cues that can help them arrive at the best solution. Even the most skilled listener can get confused by what a speaker is saying, especially when it’s comprised of many complex or seemingly unrelated ideas. This is why agents have to be reminded not to shy away from asking for clarification when something is confusing or unclear. More often than not, callers will take it as a cue that the representative is listening and genuinely interested in helping out. Paraphrasing is the process of restating what the speaker has said, but in different words and, whenever necessary, in a slightly different context. It’s an important skill to have because it shows the caller that the agent is paying close attention. It also assures the customer that the agent can fully understand their issue. Ultimately, paraphrasing, when done well, makes customers feel that their issue is being addressed with a sense of urgency. In a world becoming even more beset with distractions, it’s starting to feel like active listening is becoming a lost art. Let this not be the case in your call center. When push comes to shove, active listening is what makes it possible for us humans to make meaningful connections with each other. It goes without saying that the same rule applies to both providers and customers. Bob is on his laptop pounding away on the keyboard, a deadline is breathing down his neck. Suddenly, his internet connection drops. Seething, Bob gives the internet service’s technical support a call, goes through a cavalcade of voice prompts until finally, he connects with a living, breathing person. Bob tries to explain his issue calmly, and then the representative tells (not asks) him that he’s putting him on hold. And so the rep places him on hold without much ceremony. Cue the annoying music. If you were Bob, how would you feel? Let’s cut to the chase: customers don’t like being put on hold. If a representative has no choice in the matter, the least he could do is be professional or nice about it. The customer deserves that courtesy. After all, they’re paying for the service. How can customer service reps put customers on hold without upsetting them, or at least not too much? Representatives have to talk in a professional yet pleasant voice and use the customer’s name to establish a connection. Use paraphrasing to let customers know that the rep understands the issue. And when reps need to put the customer on hold, they should ask first and do it nicely. Moreover, they should explain the reason why they have to place the customer on hold. Reps also need to tell the customer that they’ll get back to him, or her in a minute. It goes without saying that that promise has to be kept. Remember, most customers tend to get frustrated when they get put on hold for more than two minutes. For a customer on the phone, two minutes feel like forever. When getting back to the customer, reps can either thank them for their patience, or apologize for placing them on hold. The latter is more appropriate if the caller was already put on hold more than once or was made to wait for more than a minute (that shouldn’t happen in the first place, but just in case). If the wait time is too long and the representative is not yet done with what they’re doing, they need to get back to the customer to let him/her know that she hasn’t forgotten about them. But what if a customer doesn’t want to be put on hold? The answer is simple: don’t put the customer on hold unless you need to transfer the call to a more appropriate department. Interrupting the caller so that he can be put on hold. Putting the customer on hold for more than two minutes. Asking a customer if he can call back (the rep should be the one to call the customer back). Putting the caller on hold too many times. By following all the steps and tips mentioned above, hold times will be less frustrating for customers, which can positively impact the customer experience in a big way. Of course, the contact center has to do some of the heavy lifting as well. The first step is to evaluate the center’s systems and procedures and check which areas may require fixes and improvement. Once problem areas are detected, necessary fixes have to be made as soon as possibles so that your company can continue to improve the handling of these difficult situations. Your call center’s call flow management system has a significant bearing on whether clients will be happy with your services after the end of a call. A call flow, by strict definition, is the roadmap that defines the path of an incoming call. Usually presented by a tree system, it’s a system that represents where the call is routed according to the customer’s specific needs. That’s why it’s imperative that the necessary measures are taken to ensure that your call flow is structured in such a way that can address clients’ needs at the optimal level. Here are the crucial elements that make up a winning call flow. The first few minutes of an inbound call are critical for many reasons. For one, it sets the groundwork for the rest of the call flow. But if the customer is directed to the wrong person right from the get-go, chances are it’s going to get ugly. A call center organization has to take a proactive approach to improving all areas of its operations, and to pull this off one has to implement a reliable feedback system. The call management system your contact center uses presents excellent opportunities for spotting opportunities for improving customer service. By checking on statistics provided by your system, you can spot patterns and trends which you can use to come up with effective solutions to irregularities found in the call flow. A sophisticated yet efficient automated attendant system is instrumental in maintaining a smooth call flow for all inbound calls. Not only does the Automated Attendant assist customers to connect with the right department, but it also gives greater flexibility in how they can manage the call. Better yet, it’s a boon to those who prefer to do things by themselves. Using the standard touch-tone keypad, customers can find answers to basic questions and resolve non-complex issues by themselves. When configured well, an automated attendant system can bolster call handling efficiency on many fronts. An automated attendant is as necessary as it is useful in maintaining a good call flow in inbound calls. Listening to an automated voice for nearly half a minute every time, however, can take its toll on a customer’s patience. Most customers prefer to speak to a human being right away. So make sure that you configure your automated attendant system in such a way that it takes less time for customers to go through options. One excellent strategy is to configure the options according to the frequency of visits. For example, you assign the number “1” option to customer service since it’s the department that most customers want to connect to. Take into account the four key elements mentioned above and your call center organization only one way to go but up. There are no two ways about it: an efficient call flow translates to better customer service. That’s because good call flow management gives customers better flexibility and a degree of control in managing their calls. In short, it makes customers happy, which is always a good indicator that your customer service team is doing an excellent job. Service level is a metric that you can use to determine how accessible your company is to your customers. The metric is defined as the percentage of calls that your team can answer within a predetermined time (or your target threshold). Simply put, if your company has a poor service level, then that means your customers are waiting for a long time on the phone before your agents pick up — this could either be because there are far too many incoming calls, or there are too few agents available to answer the phone calls. An excellent service level, on the other hand, means your customers can speak to an agent immediately. In the call center industry, it is one of the most important indicators of productivity. Because it can impact the overall experience of your customers with your company, failing to meet the desired service level target can cause all sorts of problem to a business. If you’re struggling with meeting your service levels, then here are some tweaks that you can implement that can have a big impact for us in outsourcing support services in the Philippines. Because you will need your agents to report to work and have enough people to man the desk, it is not enough that you simply include the importance of employee attendance in your employee handbook or punish those who are unable to meet their attendance targets. You can do more by providing various positive reinforcements for agents who come on time. For instance, you can recognize employees with perfect attendance (and no tardiness) or give a small bonus. The volume of calls that you receive will vary at different times of the day. You might receive fewer calls in the morning, for example, but will have volume build-up in the evening. That is the reason why another small change that you can establish in your organization is to define different break schedules for all agents. In this way, you can be sure that they will not go to lunch together at the expense of the service level. Giving your agents different break schedule will also allow your business to have the manpower in dealing with incoming calls at different time intervals. Additionally, encourage your call center agents to follow their schedules. It’s no use providing a defined schedule for their breaks when they don’t follow it. This can be done by putting up a timer once they log off for a break so they know how long they have left and can come back to their workstation on time. Another quick tip that works is to establish a routine after-call work process. An after-call work involves everything that an agent does upon each end of the call, such as writing down notes, updating an account, and getting ready for the next call. Creating a clear routine of the processes when a call is ended will make your agents more efficient. They can quickly get back to the queue to receive their next caller, improving service level. The service level is going to be an important performance target that your business needs to achieve consistently. Making the above small changes in the way that your call center organization works can greatly and positively impact your service level. Multiple studies have proven with little room for doubt that great customer service is the key differentiator in managing a successful business. One such study was made by Dimensional Research in 2013, showing that 62 percent of B2B customers made more purchases when they receive excellent customer service. This only goes to show that having a great product doesn’t count for much if customer relationships are not being well-managed. So it only makes perfect business sense to ensure that your contact center department has on hand dedicated and skilled call center agents. Here are some great suggestions to bring out the best customer service from your call center agents. “Soft skills” can be difficult to quantify, but they can spell the difference between a happy customer and one who leaves for a competitor. To put it simply, “soft skills” play a crucial role in ensuring that customer interactions are always positive. According to SurveyMonkey, the following are essential traits call center agents should have to keep clients satisfied and happy with the service. Empathy, patience, and consistency. Agents should communicate with a sense of urgency and maintain a good temperament at all times even if the client is making it difficult for them. Adaptability. The ability to handle any situation or issue, however unforeseen or unique, is a valuable attribute ensuring that customer satisfaction is met and exceeded. Clear communication. Unclear or incoherent communication makes it difficult for both the agent and the client to work out a timely resolution. Product knowledge. Customers look to customer service professionals for answers. If they’re not getting the information they seek, customer satisfaction drops drastically. Can handle criticism. An agent can’t allow himself to feel slighted if an irate client is blowing steam over the phone. The happiness of the customer is always the goal. These days customers are more comfortable doing business with companies that offer multiple channels for communication. We are, after all, living in the age of omnichannel retailing. These channels include email, phone, social media accounts, and the “Contact Us” function on your official website. By doing periodic checks to ensure that all dedicated channels are working at the optimal level, customers who need help are not left out in the cold and are therefore happier for it. Moreover, the burden on your call center is vastly reduced, resulting in productive and pleasant customer interactions. Great companies treat customer service as a continuous learning process. Every industry is susceptible to change, and companies who don’t update their customer service processes accordingly run the risk of becoming stagnant in the long run. Before you know it, common issues go unnoticed and bad habits fester. The solution? Set up a robust feedback system to gather quality feedback from your customers. Gathering feedback from customers creates opportunities in determining the strengths and weaknesses of your call center operations, providing key insights on how to maintain and improve customer service. Many companies are providing their employees with a supportive environment and a positive work culture to become successful. The reason for this is simple: happy and highly-engaged customer service reps are more likely to give customers a positive experience in every interaction. So, how exactly can you increase engagement among employees? For starters, you have to take steps to ensure that working conditions, compensation structure, career advancement opportunities, etc. are meeting or exceeding industry standards. Your customer service representatives probably know more about your customers than anyone else, so it only makes perfect business sense to invest in them. A fierce commitment to bringing out the best in them can go a long way into pushing your business and brand forward.